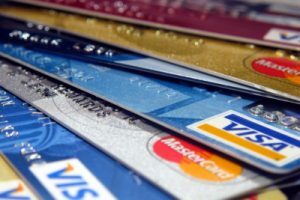 Personal use and business credit cards are becoming popular worldwide for the 2 last decades, while in the U.S. and developed countries they were widely spread for the last century. This process has grown to a very complex system, due to the number of cards issued annually. For example, 363 million U.S. Visa credit cards in 2016 (Q3) and 201 million MasterCard credit cards in 2017 (Q1) were in circulation in the U.S. It is the most common type of cards for the people above 18 who meet the minimum criteria to have a right of getting one. It is no need to have any assets on your account while using a standard credit card. The credit limit will be set by default due to the rules of issuing bank. You also do not need a previous credit history (as far as you could have no one yet). Note: good for a start of a credit history. Cons: low credit limit, few or no additional perks. It is a good way to start (similar to a standard credit card) or rebuild your credit history. After you open a secured card, you should refill your deposit. Your credit limit usually equals to deposit or stands on 150-200% of the deposit amount (usually this sum isn`t large – from a few hundred to a few thousand dollars). That amount is also determined by the issuing bank. Note: good for a start of credit history or rebuilding it. Pros: possible to transfer to a standard or non-secured type of credit card. Cons: need a deposit, usually have the annual fee and higher annual interest rates. While the standard personal use and business cards have exhausted themselves, companies invented reward programs which attract a target audience to choose it. The idea of reward cards is composed of the spending converted to the point. That point can be redeemed on travel or purchasing perks (discounts). You can check the best travel credit cards rate and compare the perks they offer. Sub-types of reward cards are Airline/Frequent Flier Miles, Cash Back, Premium Credit Cards (gold or platinum ones), Points Cards. Note: beneficial for people with a proof credit history. Pros: has a lot of perks on travel services. Cons: need a good credit history and owner paying ability (creditworthiness). It can be considered to a reward sub-type or as a travel one with an additional reward system for your existing card, in spite of, it is the fully-serviced separate credit card. Today a lot of popular credit card issuers share a partnership with airlines and hotels. These cards are called as Airline/Hotel Co-Branded Cards. Here is one more sub-type as Cash Back credit card (some amount of money is paid back to you for the purchases or discount on some services). Note: very specific, high-rate cards, for advanced users. Next post: Is Climate Change Making Your Homeowner’s Insurance More Expensive?